I'm a sucker for a retro diner. Just last weekend I was in LA and had to have lunch at Cafe 50's as soon as I saw it. 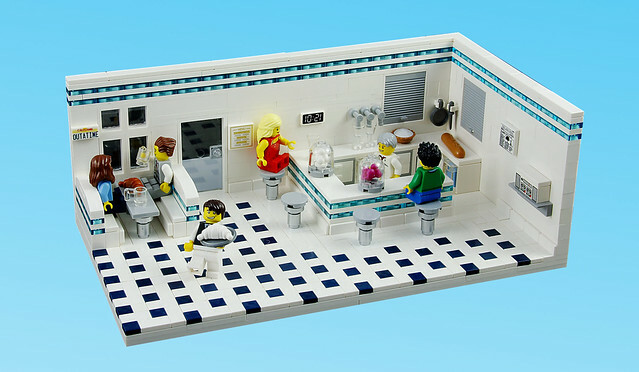 I'm also a sucker for a retro build, and this immaculate diner interior by One More Brick has all the right details. Now, can you tell me what fresh pie you have?